The company rolls out in January the IBM System i5 line, an "all-in-one" IT platform for small and mid-sized businesses. The new product line has a POWER5+ processor, a dual-core "system on a chip" that runs at speeds up to 2.2 Ghz, and shows up to a 33 percent increase in performance over existing POWER5-based iSeries models. Also announced in January is i5/OS 5.4, a new version of the i5's integrated operating system. An IBM software engineer in Rochester, Minn. demonstrates a single server that does the work of a pile of high-tech gear. Complexity is expensive, the new System i5 is meant for businesses who need to remove clutter and dramatically reduce the amount of IT tech support typical in many companies today, freeing them to focus on business innovation. The company launches in April a new IBM System z9 Business Class mainframe. With pricing starting at $100,000, the new z9 is designed to tackle the critical computing challenges of our time: the coming wave of automated Service Oriented Architecture, new heightened expectations for data security and the rapid expansion of emerging markets. At the same time, IBM enhances its System z9 Enterprise Class server with features that increase the system's business flexibility. IBM and more than 20 major worldwide public health institutions, including the World Health Organization and the Centers for Disease Control and Prevention, announce on May 15 the Global Pandemic Initiative, a collaborative effort to help stem the spread of infectious diseases. Gene complex. The U.S. Department of Energy's National Nuclear Security Administration (NNSA) and IBM announce on June 22 that a new mark was achieved on BlueGene/L -- the world's fastest computer. This world record for a scientific application was set by achieving a sustained performance of 207.3 trillion floating- point operations per second on the "Qbox" computer code for conducting materials science simulations critical to national security. The computer is housed at NNSA's Lawrence Livermore National Laboratory. IBM unleashes in June the next-generation DB2 9 data server ("Viper") to deliver the most significant database technology enhancements in more than two decades. Viper marks the culmination of a five-year IBM development project involving more than 750 software developers in eight countries. DB2 Viper transforms traditional, static database technology into an interactive, vibrant data server that enables users to improve their ability to manage all types of information, such as documents, audio and visual files, images, Web pages and digitally signed XML transactions. In July, the company introduces the IBM System p5 595 -- the world's most powerful server -- a 64-core speed demon capable of a record-shattering four million transactions per minute, and the IBM System p5 590 server. In August, IBM announces one of the single largest expansions of its storage portfolio with the introduction of new and faster systems, enhanced products across its storage product line and a new Enterprise Choice warranty service option for the IBM System Storage DS6000 Series. At the high-end, the company rolls out the IBM System Storage DS8000 Turbo models (DS8100 Turbo and DS8300 Turbo) based on POWER5+ processors. Also introduced are the IBM System Storage N7600 and N7800. Scientists and researchers at the IBM Almaden Research Center outline on September 6 a number of key projects detailing the future of the data center, including Storage-Class Memory, Intelligent Data Storage, Storage Systems That Compute and the intersection of virtualization and autonomic computing. The event is timed to mark the 50th anniversary of IBM's introduction of the world's first commercial hard-disk drive system -- the IBM 350 Disk Storage Unit and the 305 RAMAC Computer -- regarded as one of the most significant products in the history of information technology. Against the backdrop of the first commercial magnetic hard-disk drive for storing computer data, which is celebrating its 50th birthday this month, IBM Fellow Jai Menon shows off IBM's latest data storage innovation: a prototype compact storage "blade" that can hold more than 500,000 times more information in a space not much larger than a briefcase. 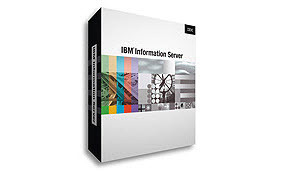 The company introduces in October IBM Information Server, the first-of-a-kind software platform that enables clients to deliver trusted, consistent and reusable information to applications and business processes. Mare Nostrum IBM is the leading provider of installed supercomputing systems with 219 systems as well as total aggregate supercomputing power, with a record total of 1.214 Petaflops. IBM has five of the systems in the Top 10, including Mare Nostrum, Europe's most powerful supercomputer which is powered by IBM's Power Microprocessor and eServer BladeCenter JS20 -- the only top-ten supercomputer based on blade server technology. ASTRON -- one of the world's leading astronomy research organizations -- announces in December a new collaborative agreement with IBM focusing on the design, engineering and manufacturing of customized, high-performance analogue and mixed signal processing chips. The chips will be used in thousands of antennas as part of ASTRON's project to build a new prototype radio telescope called SKADS/EMBRACE, which will be the precursor for the world's largest radio astronomy telescope -- the Square Kilometer Array. IBM will be collaborating on the design, engineering and manufacturing of customized high performance, low power consumption microprocessors which will be used in thousands of antennas spread across the globe - similar to the ones shown here. The antennas will be used to capture radio signals from deep in space as part of an effort to build the world's largest radio telescope to look at and understand the very origins of the universe.